I always enjoy a book that leaves me thinking about the meaning after I’m done. I have never in my life enjoyed the movie more than the book until seeing Nocturnal Animals. 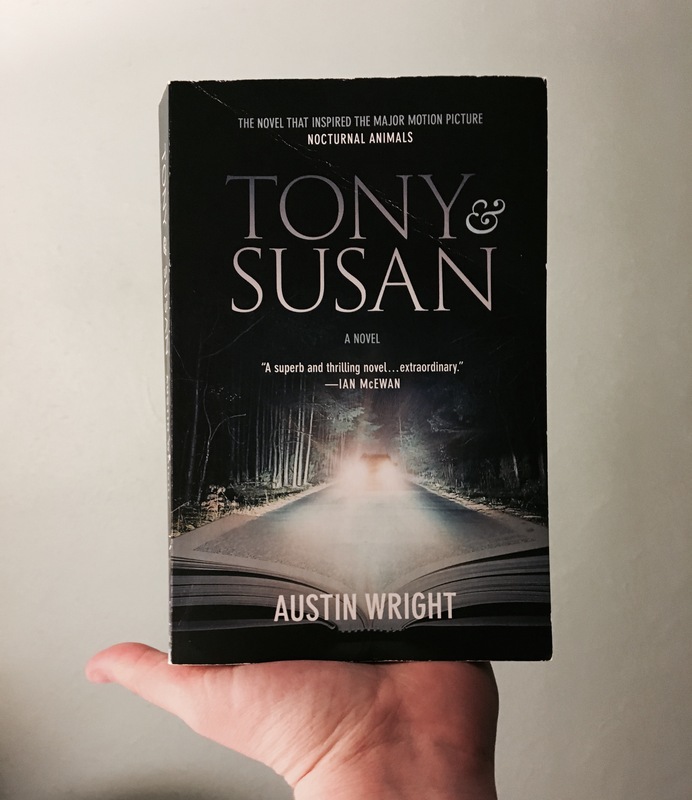 Which is not to say that I didn’t enjoy Tony & Susan but more to say that director Tom Ford showed this complicated novel in a way that was haunting and beautiful. Susan is lonely. She is often left alone by her physician husband and has become bored with her life. Her ex-husband sends a letter attached to a manuscript titled “Nocturnal Animals” that he has written. He asks her to read the novel and critique it as she had done when they were together. The deeper Susan gets into the novel the more she loses herself in the story. Tony & Susan is 326 pages long and took me 4 days to read. I give Tony & Susan a 3.5 out of 5. I considered rating this book lower after I first read it but it genuinely stuck with me and I still find myself thinking about it. I love that this novel has three stories woven into one. I’d recommend this book to someone who enjoys reading novels a second time.